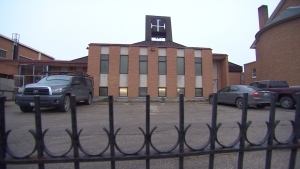 Now this same Church wants to establish yet another Catholic school in a largely Indigenous community — Winnipeg’s North End. The principal and executive director of the proposed Gonzaga Middle School acknowledges that the culture of the school will be Catholic, and goes so far as to say that the school “will immerse students in Catholic culture.” The principal will personally interview potential students and their families, hand-picking the 60 students he considers to be the most suitable candidates. They will then spend their middle school years being immersed in Catholic culture, and when they are finished middle school they will be steered into one of Winnipeg’s private Catholic high schools, where their tuition will be paid for. The establishment of the Jesuit middle school is inconsistent with what the Truth and Reconciliation Commission is calling for. Nowhere in its “Calls to Action” in pursuit of reconciliation does the TRC invite the Catholic Church back into Indigenous communities so that they can “immerse students in Catholic culture.” On the contrary, the TRC rightly observes that it was this immersion — and the cultural arrogance that it implies — that was the problem. Instead of being immersed in Catholic culture, our young people need to learn about the beauty and wisdom inherent in our own Indigenous cultures. That is what we believe the Manitoba Collaborative Indigenous Education Blueprint for Universities, Colleges and Public School Boards, which was signed in December 2015, is calling for. It commits universities, colleges and public schools in Manitoba to advance Indigenous education and reconciliation. The universities, colleges and public school boards who have signed on to this initiative have committed to “promoting research and learning that reflects the history and contemporary context of the lives of Indigenous people.” By promoting Indigenous cultures in this way, says David Barnard, President of the University of Manitoba, the initiative will “make Manitoba a centre of excellence in Indigenous education.” This cannot be achieved by yet again immersing Indigenous children in Catholic culture. There is an Indigenous cultural revival underway in Canada. Winnipeg, with the country’s largest urban Indigenous population, is at the epicentre of this exciting process. Indigenous people, and especially our youth, are saying that they want to make the decisions that will shape their futures and the collective future of our people. Over the past 35 years Indigenous people have built a remarkable array of community-based organizations run by and for our people. This includes a variety of educational institutions that have proved to be exceptionally effective, including Children of the Earth High School, the Aboriginal Centre, Urban Circle Training Centre and others. The Canadian Centre for Policy Alternatives’ State of the Inner City Report 2015 shows that these and other similar community-based organizations have benefitted from public funding and are starting to produce real gains in the inner city — in educational outcomes, employment and poverty reduction, for example. Inner city people, including Indigenous people, are rebuilding their communities, and are doing so with a home-grown approach that is the product of years of hard work and real learning. Despite all of this, the Catholic Church continues to believe that they know better than us what our children need. They stand accused of cultural genocide. The Pope will soon be asked by Canada’s new Prime Minister to issue an apology for the terrible damage Catholic residential schools have caused to our people. Yet once again, having apparently learned nothing, the Catholic Church is working to build a middle school in the North End that will immerse our children in Catholic culture. The Catholic Church has caused us enough damage. It is time for this to stop. All Manitobans committed to the pursuit of truth and reconciliation should join us in demanding that any and all activities of the Gonzaga Middle School be halted immediately and permanently. Larry Morrissette is co-author of Indians Wear Red: Colonialism, Resistance and Aboriginal Street Gangs. James Favel is a North End community activist. Photo credit: CBC.